Very good closing sentence, Gloria. My nephews went to see that movie Tuesday, they are 16 and 11. The 11 year old told me the Star War movies are his favorite movies ever. I watched 'The Identical' yesterday on Netflix. It stars Blake Ryan, Ashley Judd and Ray Liotta. that it has something to do with Elvis and his life. There are several things that will remind you of Elvis and his life. It's about family, faith, hardship and love. It's a clean movie (a little bit of drinking) that any age could watch. I liked it very much, in fact, I liked it much more than I thought I would. or with someone, since I watched it alone. If you do watch it let me know if you liked it. One I saw a while back is "Upside Down." It's quite the visual movie! Kirsten Dunst is in it. I had to describe it to my friend who is legally blind and let me tell you...it was quite...interesting! Also, check out the "Divergent" series. It really gives one something to think about. I believe both are PG-13. Don't forget to grab some popcorn!!! I see Michael Moore has a new movie out called something like "Where to Invade Next." I'll have to go to Des Moines to see it so that might inhibit me from going soon. But I think he does a fantastic job of documenting important things we need to know about. So I hope I can go to see it. I'm liberal politically, of course. Moore's movies seem to aggravate people who are conservative. I loved this one. There are some violent fights and shootings. It's action all the way. I did watch a good movie last week. Stardust was the name of the movie. It isn't a new movie. I think it came out about 4 years or so ago. I really liked it and it's rated PG. The Last Keepers. It's been out for a while so it's not really new. It's aimed more at the tween age group...so anyone could watch it. I really did like it. Based on the true story of the lead singer in the group Mercy Me. You can see the trailer for the movie on FB and You Tube. I love the song and can hardly wait to see the movie. I believe it will be a good one. Thanks, ConnieLea, for putting up comments on movies here. I read them and maybe others do too. As I said once before, movies at the theater are too expensive to attend unless you're pretty sure you're going to enjoy it. So if you get a little feedback from someone else, it helps. ... movies at the theater are too expensive to attend unless you're pretty sure you're going to enjoy it. Compared to the other popular forms of family entertainment, "movies at the theatre" are, by far, the least expensive way you can spend a couple hours. Concert tickets, football or baseball tickets, theme park tickets, nascar race tickets, etc., can all be 10 times the cost of a movie ticket. Of course, concessions at all those events are ridiculously priced because... well, because you're part of a captive audience. Now, please, turn off your cell phone and enjoy the film. Movies at the theater are expensive and just keep going up in price. There are things to do that are less expensive...even free. Baseball and softball games at your local recreation center are free to see. Middle school and high school basketball and football games are reasonable. Bowling isn't outrageous, especially if you get coupons from the newspaper. I'm not sure about roller skating prices, but that's for the younger folks. Granted, pro game and concert tickets will cost more than a lot of things. For most people those type outings will tend to be on special occasions. or turned off until the movie is over. I'm still anxiously awaiting the movie 'I Can Only Imagine' to come out. Netflix or released on DVD...I'll see it as soon as it hits our town theater. 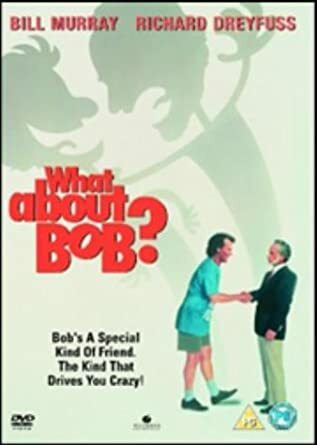 Has anyone seen this movie "What About Bob?" Bob is the world's most lovable person in this movies. The only bad thing about it..... "it's a little silly." and Reunion with John Cena. younger ones would probably not stay tuned in. I enjoyed both of them even if they aren't actually 'new' movies. Also check into 12 rounds with John Cena. It's an 'on the edge of your chair' movie. Watched a good one with K. Reeves called The Whole Truth. He's a lawyer and it's about a murder trial. that's when I Can Only Imagine is supposed to be in theaters. Seems like I've already been waiting forever...and still having to wait. The Hateful Eight, with Kurt Russell and Samuel L. Jackson. It's not for everybody. Lot's of violence and blood. But still a pretty good movie.